Are you frustrated by not having enough time to cover all of the information in your current wellness text? 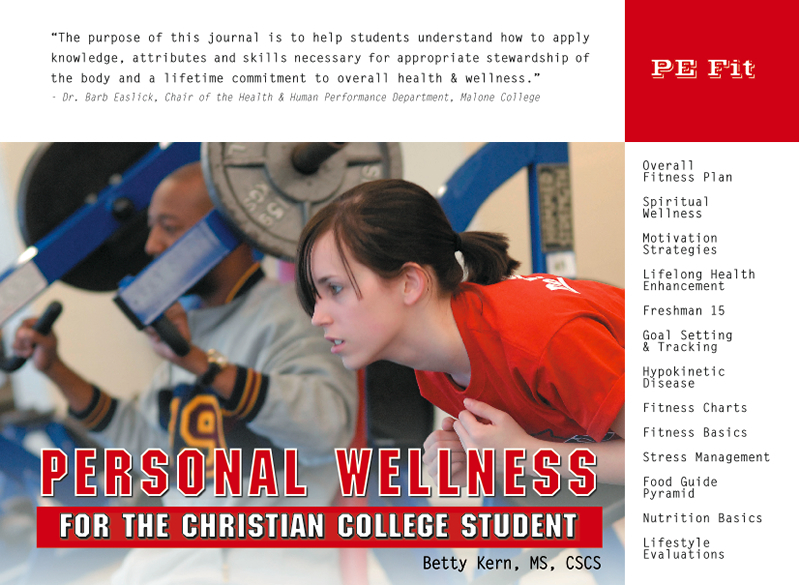 PERSONAL WELLNESS for the Christian College student is an abbreviated wellness text that provides practical information for your students. Application of personal wellness is facilitated through journaling nutrition & exercise habits throughout the semester.